Welcome to Wally’s Liquor Cellar! Wally’s Liquor Cellar is our new shop, situated in Cardiff’s Castle Arcade. 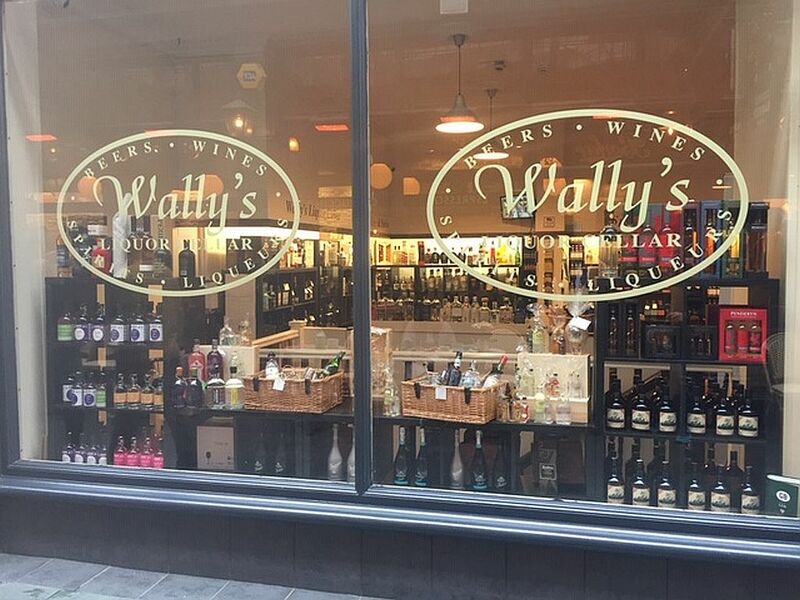 We have been selling a range of Beers, Wines and Spirits for many years from Wally’s Delicatessen in the Royal Arcade but we did not have enough space there to display our increasing range. For that reason, we have opened up this specialist shop in the Castle Arcade. Please take some time to explore Wally’s Liquor Cellar. You will see that we stock a very wide range of Welsh Craft Beers – in fact we stock over 150 varieties. We are also proud of our links to Penderyn Distillery and we are now able to offer probably the widest range of their superb award-winning whiskies and other spirits available in any retail outlet, apart perhaps from at the Penderyn Distillery itself! Gin is becoming very much more popular these days and we have many brands for you to choose from, including Cardiff Dry Gin from Eccentric Gin Company, whose distillery is just a few miles from Cardiff City Centre. We also have some lovely wines from Welsh vineyards which are already proving to be very popular. Of course, we don’t just stock Welsh products, we have the finest wines, beers and spirits from other parts of the U.K., Europe and the rest of the world too. So please enjoy looking at our website, and we hope to see you soon in Wally’s Liquor Cellar where you will receive a warm welcome. N.B. If you are unable to call in to purchase any of the wide range of the beers, wines and spirits we have available at Wally’s Liquor Cellar, you can now order online via the Wally’s Delicatessen Secure Online Shop. Please click here to access the Online Shop! Please note that we will operate normal opening hours on Friday 19th April and Saturday 20th April. However, we will be closed on Easter Sunday and on Monday 22nd April we will be open from 11.00 am until 4.30 pm.